Secretary-General Antonio Guterres' spokesman said six Sri Lankan peacekeepers were injured in the blast near the town of Douentza. 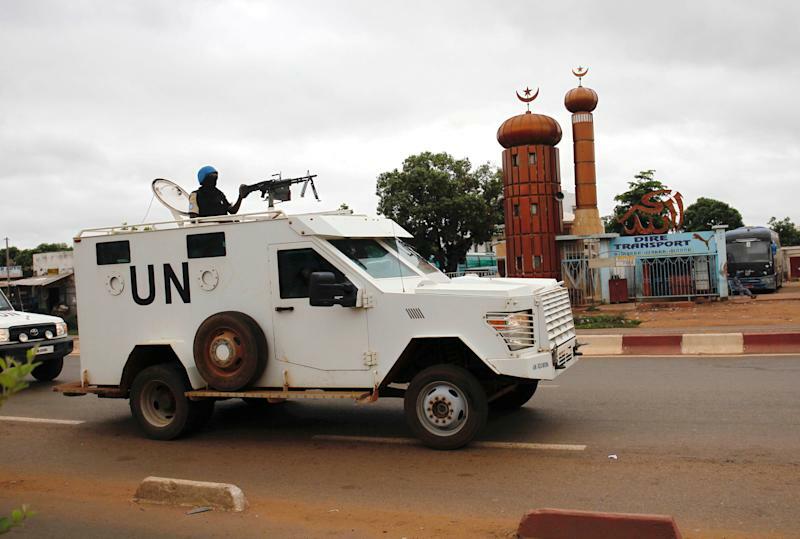 A peacekeeper from Burkina Faso was injured in a separate attack using an improvised explosive device against another U.N. mission convoy near Douentza on Thursday, deputy spokesman Farhan Haq said. No one has claimed responsibility for the Friday attack, but it is similar to others by extremist groups linked to al-Qaida which have increased activities in the Mopti region. Secretary-General Guterres and the U.N. Security Council condemned the attack in the strongest terms. The Security Council called it an act of terrorism and urged Mali's government to swiftly investigate and bring the perpetrators to justice. Council members underlined that "attacks targeting peacekeepers may constitute war crimes under international law" and said those responsible can face U.N. sanctions. The council also expressed concern about "the security situation in Mali and the transnational dimension of the terrorist threat in the Sahel region," which the Mopti region is part of. It urged all parties to fully implement the 2015 peace agreement. Haq said Guterres also called for the perpetrators to be brought to justice and warned that targeting U.N. peacekeepers "may constitute war crimes." The U.N. chief stressed that the "cowardly acts" will not deter the U.N. mission's determination "to support the people and government of Mali in their pursuit of peace and stability," Haq said. The blast comes after an attack in the northern Kidal region on Sunday killed 10 Chadian peacekeepers and wounded 25 others. The 15,000-strong mission in Mali is one of the most dangerous for peacekeepers. More than 100 peacekeepers have died since it was established in 2013.